Many National Parks are named for their defining feature. One has a Grand Canyon, another has Great Smoky Mountains, and yet another has Glaciers. The canyon and the mountains won’t disappear but the glaciers are melting so I’m at Glacier National Park this week to see them. 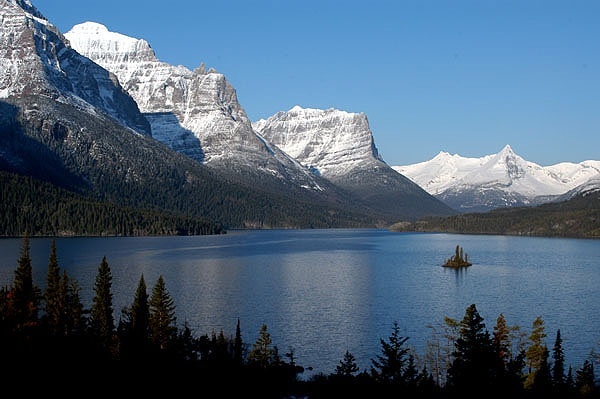 Glacier National Park was the brainchild of George Bird Grinnell who fell in love with the place on his first visit in 1885. Over the next 25 years he returned several times and advocated for the land to become a national park. His dream was realized on May 11, 1910. The scenery here is breathtaking — a 1,583 square mile wilderness of majestic mountains, U-shaped valleys, gorgeous lakes and (for me) many Life Birds. See it before it melts. p.s. 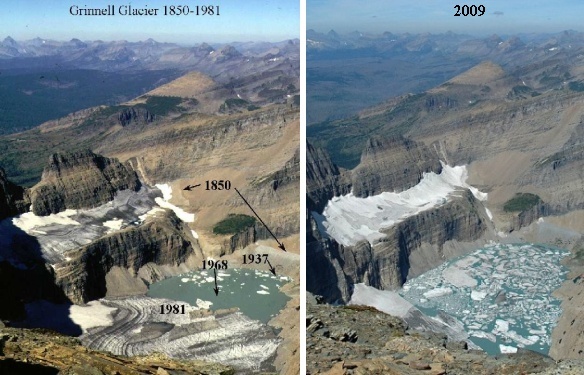 Click here for more about the disappearing glaciers. Was in Glacier only once, in early September 1986, and we only saw part of it because the Going to the Sun highway was closed halfway up due to huge amounts of snow on the road — even the plows couldn’t get through. Is there snow on the mountains there now? Absolutely beautiful place. Maybe you will see a grizzly bear? Enjoy! The Going To The Sun Road is open every summer for a limited time-depending on how cold the winter has been. You can check the website early in the summer for the times. We saw the park two years ago and it is indeed spectacular. So sad to think the glaciers are disappearing. I spent 2 weeks hiking in Glacier in 1947 (I’m an old man of 85 now). I visited it again briefly in 1975, and felt it no longer was deserving of the name—maybe an overreaction, but I was comparing it to its past glory. By now, no doubt, even more melting has occurred. You’re right—see it before all the glaciers are gone.